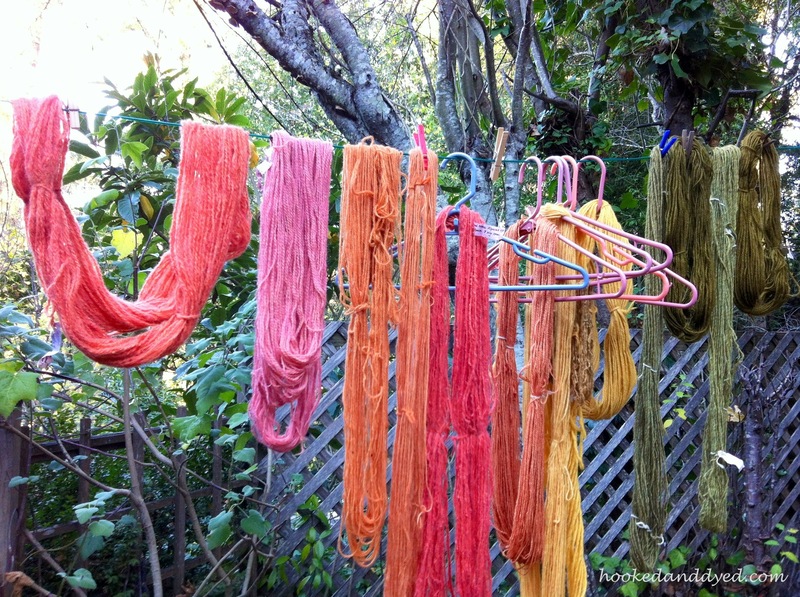 A few weeks ago, my Mother (Dorothy Beebee) and I experienced a mushroom dye trifecta: time, mushrooms, and lots of premordanted yarn. Our hanging skeins of premordanted, undyed yarn. Mom: What colors do you want to make? Because we did so much in one day I’m going to break down our results by color, in a few short posts. 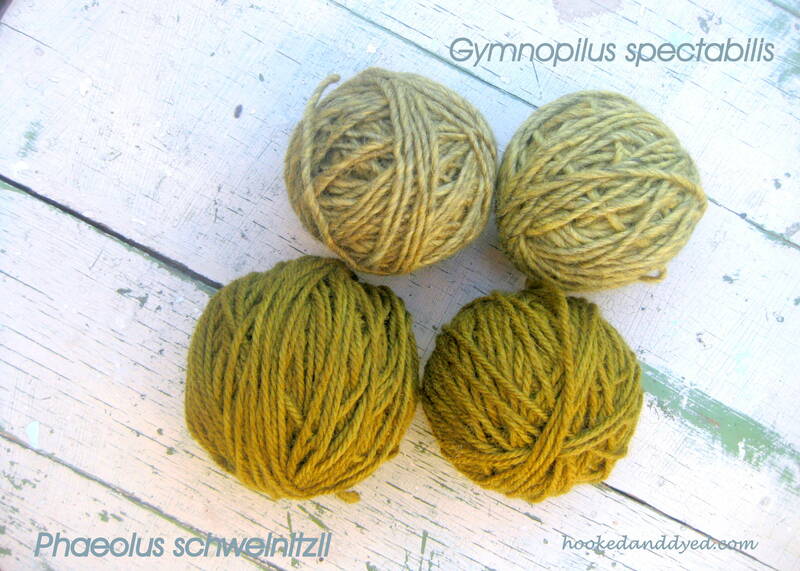 We’ll start with green and yellow, using my two favorite mushrooms Gymnopilus spectabilis and Phaeolus schweinitzii. Our goal was to create gold and green as we’ve done before. This time, we wanted to see if changing the mordant changed the hue of green. Result – We don’t think changing the mordant on the gray wool changed the green. For the gold, both the alum mordant and no mordant wool turned buttery gold. When I think of this dyer’s polypore, I think YELLOW. Thus, I was surprised to find a green yarn sample in my Mom’s Phaeolus notes. What? This mushroom makes green? When did that happen? She swears we’ve made green with this mushroom before, I swear we haven’t. 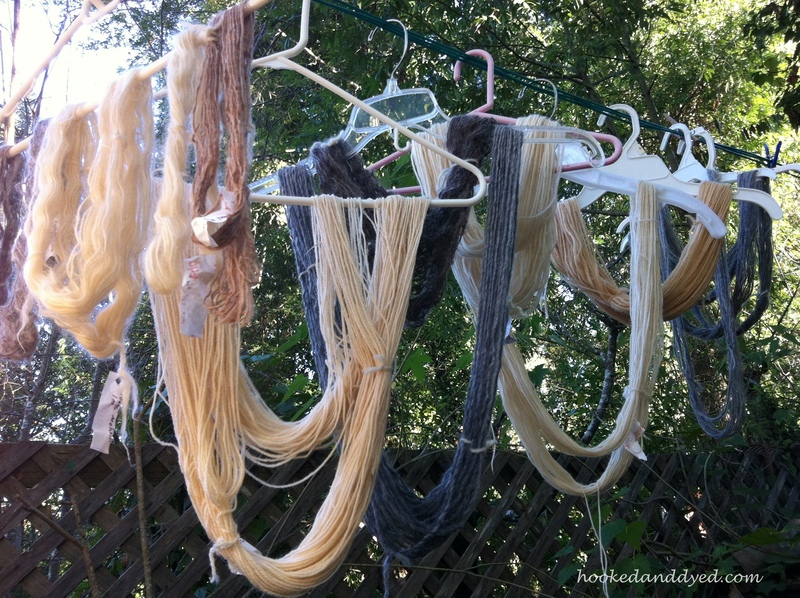 We used 100% wool skeins, premordanted in iron, and added them to our Phaeolus dye bath.. 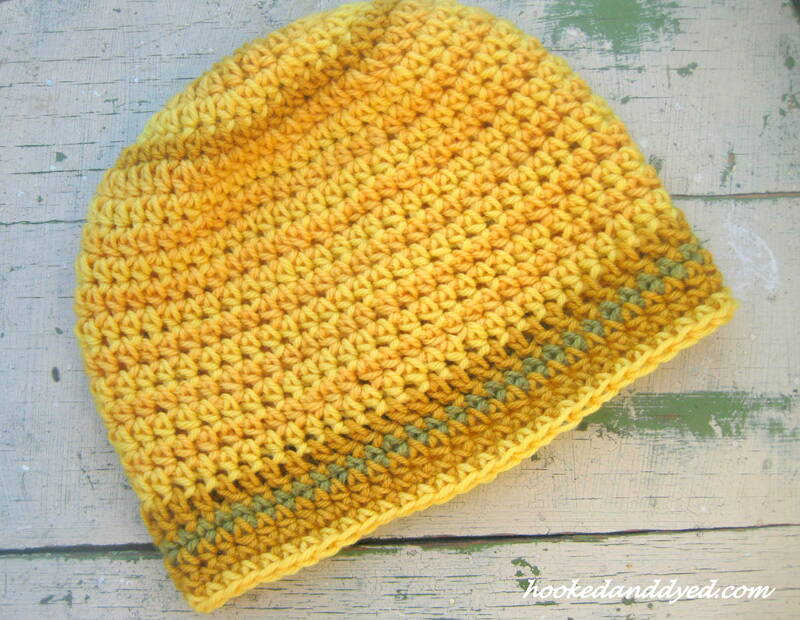 The yarn turned yellow, then progressively turned green. Awesome! Two shades of green, from two different mushrooms. 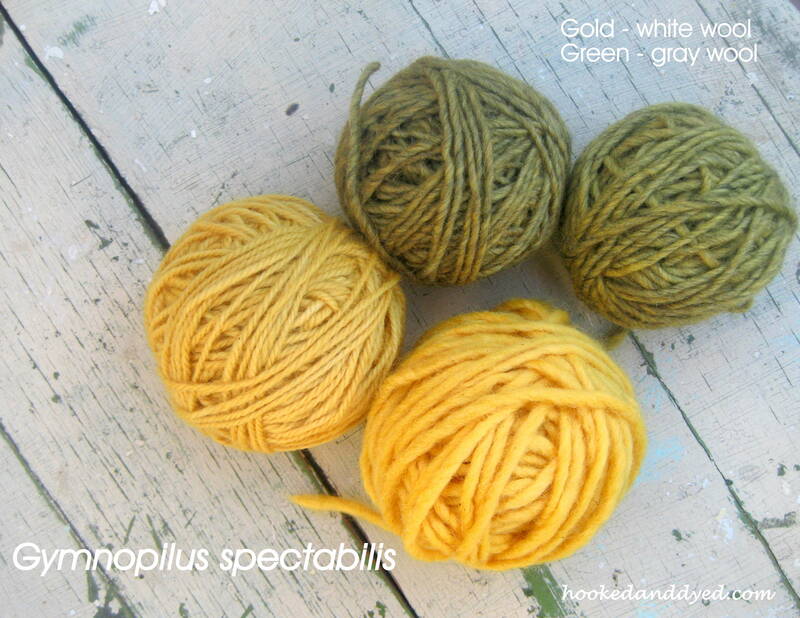 Using my two favorite mushrooms, I can make two different and equally lovely shades of green. Green dye can also be made with Omphaloutus olivascens, but we left that mushroom frozen for a different experiment, on a different day. Wow, what beautiful colours. 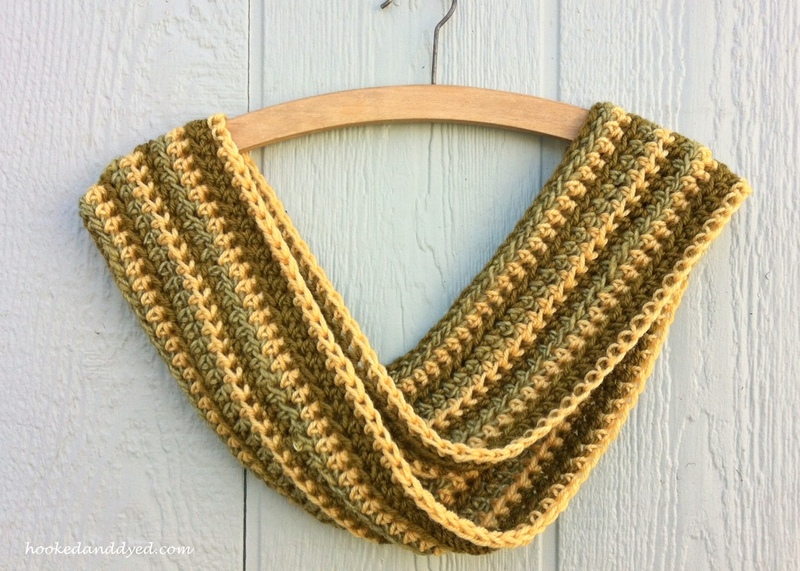 Love what you did with the infinity scarf, gorgeous. Looking forward to reading about the next colours. Thanks Rebecca. It was an extraordinary day. I have added your link in a post on my blog: http://www.appuntidimicologia.com. How lovely to share a passion with your mum!